Kisumu hotel is hosted on an historical building that was and once owned by the British colonialists in the early 19th century and formerly known as Royale, it has changed hands down the line and it is now under the management of the Maseno University. 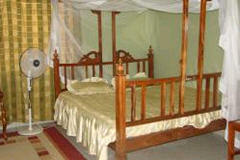 Kisumu hotel offers accommodation in 39 Standard rooms, 37 Deluxe rooms, 3 suites and in 1 VIP Suites. Facilities at the hotel include a restaurant, conference halls and a swimming pool and a pool bar. 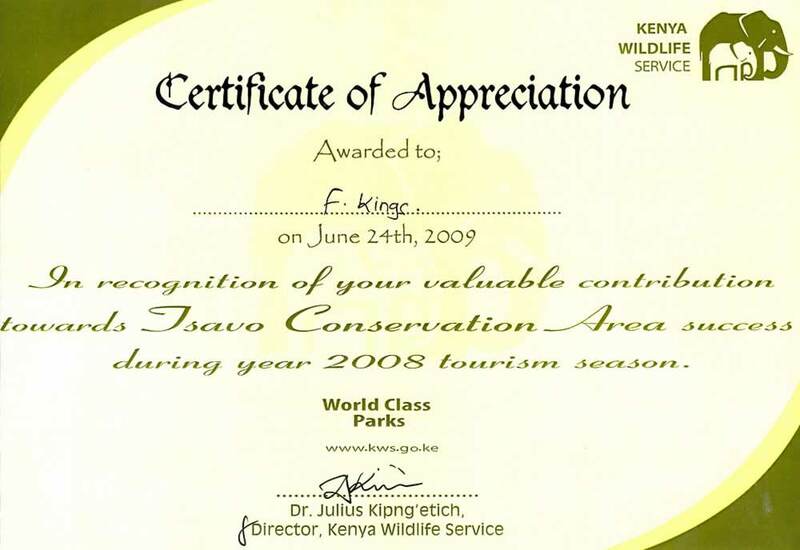 Rusinga Island Lodge sits on the western shores of Rusinga Island, in the northeast corner of Lake Victoria in Kisumu, 80 kilomtres due west of the Maasai Mara. Rusinga Island Lodge offers accommodation in 4 cottages made from local papyrus, stone and wood and decorated with traditional fabrics and baskets with occupancy of 16 people. Each cottage has its own verandah and en-suite bathroom plus 2 family cottages made up of two rooms each with en-suite bathroom and shared verandah. Each cottage overlooks the lake. Saint Anna Guest House is a Christian rest House established in the year 1998 under the initiative of the (Franciscan Sisters of St Anna Lwak) Located in a secure, serene setting in plush Milimani estate, the Guest House offers both accommodation and restaurant services to its clients plus conference and transport facilities, at a very competitive rates. 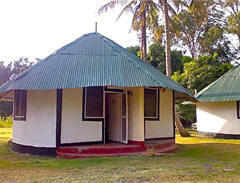 Accommodation at the Sain anna Guest house in in single rooms, double rooms and in family rooms - family rooms have three beds, two in one large room and one in a smaller room. The Vic Hotel Kisumu seeks to give the business or leisure traveler a relaxing home-away-from-home atmosphere. Facilities at the Vic Hotel are designed to meet the needs of today's busy executive. The hotel is in a secure compound with ample parking. Vic hotel offers accommodation in 48 luxurious rooms ranging from Deluxe, Family Suites to Standard Rooms. Rooms at the Vic hotel are luxurious and beautifully designed. 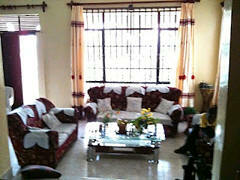 It offers the care of friendly staff, clean and spacious accommodation with excellent service. Beaty's Bed & Breakfast is a lovely new house with a small pretty gardent of local flowers perching on the hills overlooking the mountains, Lake Victoria and the city of Kisumu. Accommodation at Beaty's Bed and Breakfast features bright, airy, spacious, comfortable rooms either with en suite or shared bathroom available for short-term stay of minimum 3 nights. Our rooms are perfect for researchers, volunteers, and any travellers wishing a comfortable but authentic Kenyan experience. Lé Savanna Country Hotel and Lodge is nestled in Kisumu Town, and is only 7 minutes away from the airport, and 5 minutes away from the main highstreet, where the multiple shopping options are available. Accommodation at Le Savanna Country Lodge Kisumu is in 52 En suite modern air conditioned spacious rooms of deluxe, superior and executive classes and a fabulous terrace from which you can wine and dine allowing you to absorb the tranquility of the tropical setting. d mini bar fridges, satellite TV and internet connectivity are standard features in all the rooms. Kisumu Beach Resort is a family owned property that sits on approximately 20 acres of land on the shores of Lake Victoria. 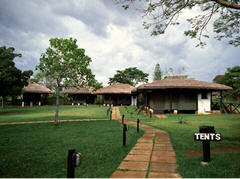 The resorts grows its own fruits, makes its own charcoal and has its own independent water supply. 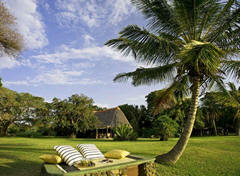 Kisumu Beach Resort offers single and double occupancy rooms with the option of half-board or full-board available. For our campers and 4x4 trucks we offer a large space to set up your tents and bandas (huts) with a direct water supply for cooking and cleaning. Warm showers are also available for all campers! The Nyanza club in Kisumu has a rich history, tracing its origins back to the arrival of British civil servants and railway workers, who came in as administrators, engineers, foremen and mariners in Kisumu, then called Port Florence in the British colony of Kenya. The Triple Trojans Hotel is sited in the secure and upmarket Milimani area of Kisumu City. Built to cater for the middle budget traveler. 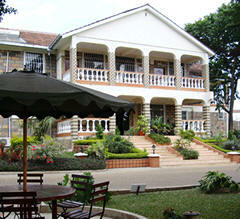 The Triple Trojans Hotel is situated behind Kisumu (Maseno) Hotel next to the Baptist church. 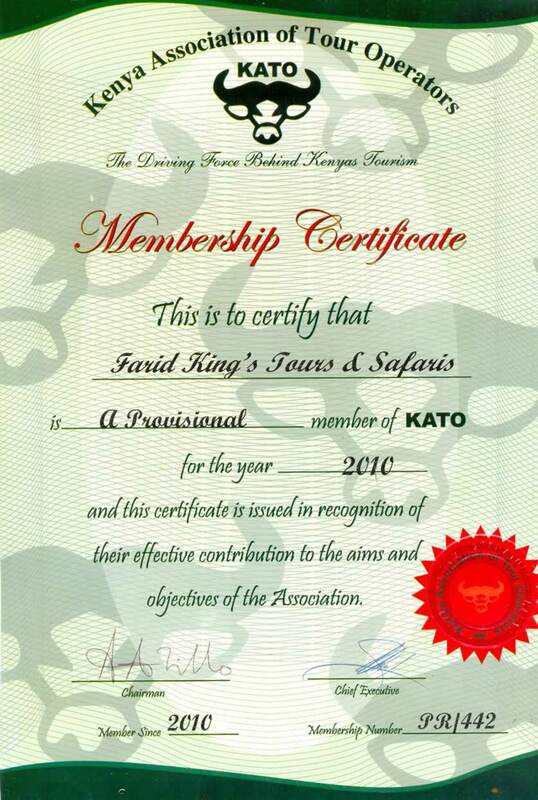 The location is only 5 minutes walk to town centre, 10 minutes drive to Dunga beach on the shore of Lake Victoria and 10 minutes walk to the nearby Kisumu Animal Orphanage (Impala Park), famous for its' African impala, caged lion, caged leopard, ostrich, velvet monkeys and many more. Accommodation at Triple Trojans Hotel consists of 31 standard rooms, 2 deluxe rooms and 2 executive rooms. The rooms have an adjoining en suite bathroom with a large shower and 2 large double beds both with nets hanging over them. 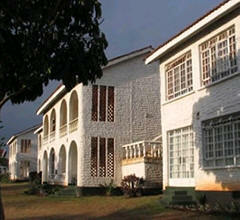 Imperial Hotel is located on the shores of Lake Victoria in Kisumu, Kenya. The hotel has a reputation of upholding traditional hospitality values despite the changing times. 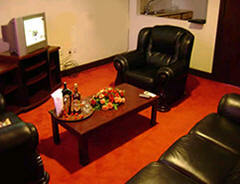 Imperial Hotel Kisumu offers service and facilities that meet the of business and leisure travelers. Facilities at the Imperial Hotel in Kisumu include an ultra modern conference facilities and choice of top of the range bars and restaurants among others. Sunset hotel nestle in lush green lawns, just 5 minutes from Kisumu city centre and 15 minutes from Kisumu Airport, bordering the Kisumu Impala Sanctuary. 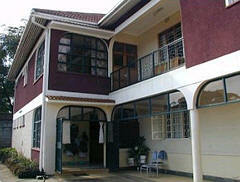 Kisumu Sunset Hotel has a capacity of 50 rooms. Separate shower & bath, Air conditioning, Multi channel satellite TV, In-room safe and Minibar. Available hotel rooms are Standard, deluxe and VIPs rooms.